You have specific needs. We offer options to modify the boxes to fit your needs. The uses for our shipping containers are as diverse as the people who need them. 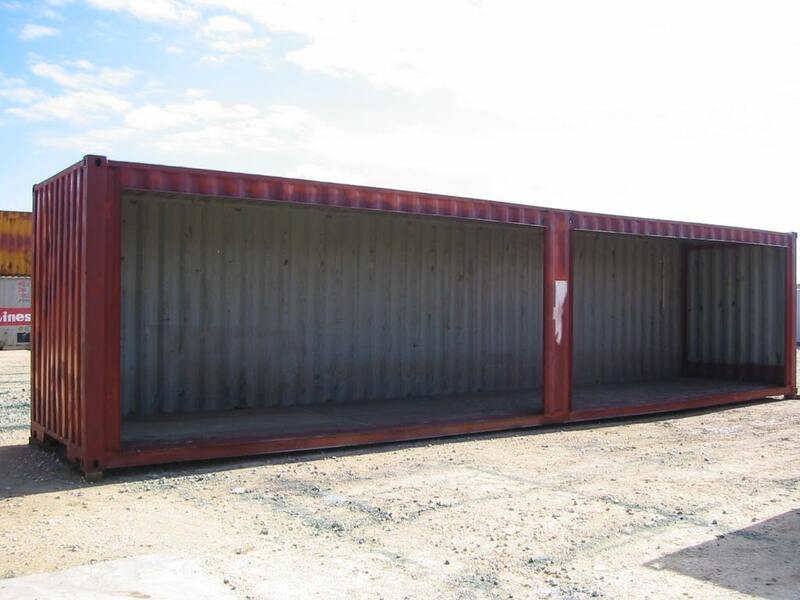 Even though all our boxes come with the same durable and highly secure features, they also come with a wide range of options for shipping container modifications. Based on our experience, here are the six steps that make it happen. Of course, for some of the simpler Basic modifications - such as installing a rollup door in the side of a container - the process can be expedited. But it's still important to specify where the rollup door will go, what type of rollup door is it, what type of box is it going into, etc. Falcon offers four base models. Using one of these as the base box simplifies the process and prevents "re-inventing the wheel" every-time. Falcon Office Box - Start with the Office Box if you need interior finish out such as finished walls, divider walls, floors, and electrical features. Pick from one of our four standard 40' floorplans or two standard 20' floorplans. Falcon Living Box - Start with the Living Box if you need interior finish out and plumbing. Pick from one of our 40' cabin floorplans or 20' cabin floorplans. If you have in house CAD / graphic design resources, we highly recommend utilizing these resources for more extensive modifications. Containers are simple to model compared to other more complicated structures. This model will ensure that everyone is on the same page. If you don't have CAD / design resources, we recommend eLance or oDesk. Falcon has designers that may be available on an hourly service charge. To make sure that all of your bids are submitted on an apples to apples basis, we recommend that you develop a Statement of Work that goes through the details of what needs to be done. We can assist in the S.O.W. process and provide templates of our base models, basic & advanced modifications. Once the Diagram and Statement of Work are complete, then get the quotes and get going on the container. Step 4 & Step 5 are critical to make sure that the quote you get is for what you need and that nothing gets lost in the translation from your vision to the building of the modified container.